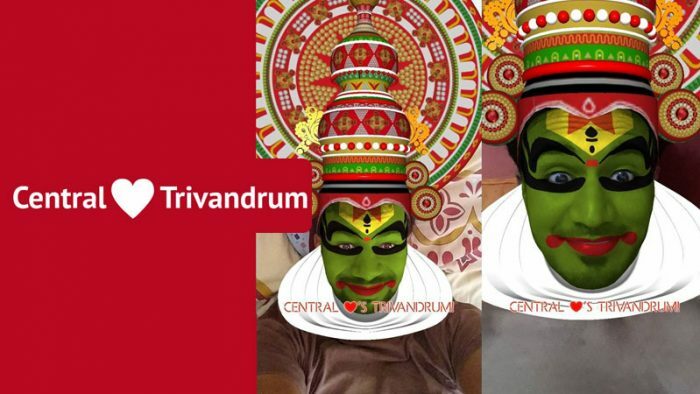 CENTRAL launches unique Kathakali AR experience on Facebook for Trivandrum Store opening. Future Group’s CENTRAL has launched a unique Facebook Augmented Reality Camera experience that allows users to transform their face to a Katkahali dancer’s face. Built by digital and creative tech agency Alivenow, it was launched on the occasion of CENTRAL opening their flagship store in Trivandrum. Consumed in Facebook mobile app’s camera, hundreds of users have already tried the Kathakali AR filter which adorns the user with beautiful face paint and a stunning 3D crown. The brand has integrated giveaways for the Kathakali AR filter campaign resulting in many customers earning vouchers as the new store opened. Future Group has been at the forefront of using innovative creative tech and digital tech solutions to engage with their audience, and this example of Kathakali Augmented Reality filter is just one instance. Earlier this year, they launched India’s first Facebook AR game during the soccer world cup. Users can visit the Central Facebook page on their mobile device to experience the Kathakali AR filter.